I’ve said before that I don’t think misogyny is inherent in Christianity, but that it is so common in humanity that it manages to infect nearly every religion. In relating stories set during heavily patriarchal times and places, the Bible seems to be endorsing the system. Sometimes this is as simple as letting the men have all the leading roles. However I’d like to pose an alternative reading of the Bible, and of the passion story specifically. It’s a reading in which men are front and center not as heroes, but as cautionary tales. Men are portrayed as terrible people, while women do everything right. So here is my case for misandry in the Bible. For most of Jesus’s ministry, life is wonderful for the male disciples. They quit their jobs, they go to parties, they tell stories, they ask questions. They even get to see a couple miracles. The men who follow Jesus are great, provided everything is going well. Judas is the first to fall, betraying Jesus to the priests. His motives aren’t always clear. Depending on the gospel it’s because he’s a thief, because he’s starting to disagree with Jesus, or simply because the devil has taken him over. Either way, he turns. Jesus knows this, and calls Judas out on it Thursday of Holy Week, the night of the Last Supper. He also predicts Peter won’t be strong enough when things start to get out of hand. After dinner, Jesus goes out to pray. Consider the character of Jesus in this moment: he’s going to die tomorrow and he knows it. Not only is he going to die, he’s going to die painfully and publicly to the happy cheers of the same people he wanted to teach. So he goes into the garden in great distress. He brings Peter, James, and John with him and asks them to stay with him, to pray with him, because he’s upset and needs their support. Jesus walks a few feet away to pray, and the gospels explain what he says to God. It’s a strange moment, because in theory Jesus is alone and no one should have been able to recount what he said in prayer that night. Jesus’s prayer in Gethsemane and its presence in the Bible is worth its own 20 minute sermon at least, but for the purpose of this post I’ll just say this: even Jesus falters. In that last hour before they come to take him away, Jesus turns to God in a final plea: “Don’t make me do this.” However he quickly recovers, admitting that if it is God’s will, it must be done. With Jesus in the hands of the police, it is no longer cool to be his friend. Peter is spotted by the locals, and identified as a friend of that man, that criminal they arrested. Peter denies the claim three times, saying he doesn’t know Jesus. The soldiers and priests all treat Jesus terribly, while women in the crowd wail in grief. Herod gets mad when Jesus refuses to do a miracle party trick for him. Pontius Pilate roles over in the face of an angry mob, despite being the supposed ruler in town. Pilate’s wife even comes up to him and insists he let Jesus go, saying she’d had a dream about Jesus. The women are willing, but the men are weak. In the whole story, there are very few male characters who appear admirable. In one account, one of the criminals killed next to Jesus seems like a good guy, but not in the other gospels. In the Gospel of John one male disciple is with the women at the cross. And then there’s Joseph of Arimathea, a rich man, council member, and follower of Jesus who arranged for the burial of Jesus’s body (in John’s account Joseph is joined by Nicodemus). But every time we see a man doing right by Jesus, nearby there is a woman who has been there the whole time. These were the women who followed him and provided for him. Not just Mary Magdalene, Mary the mother of James, and Salome, but “many other women” who had come to Jerusalem with Jesus. The references are small at times, almost thrown away by the men who wrote them down. But they are there, they are important to the story. Not only do the women cry for him at the crucifixion, they come back later to mourn and to anoint the body. In all four gospels, Mary Magdalene is first witness to the resurrection. And here is where we learn the truth of the story, or at least the truth as it pertains to our subject: that women will stand by you, weep with you, and mourn for you when you’re gone. But when the chips are down and all seems lost, men will betray you, deny you, and ultimately abandon you. 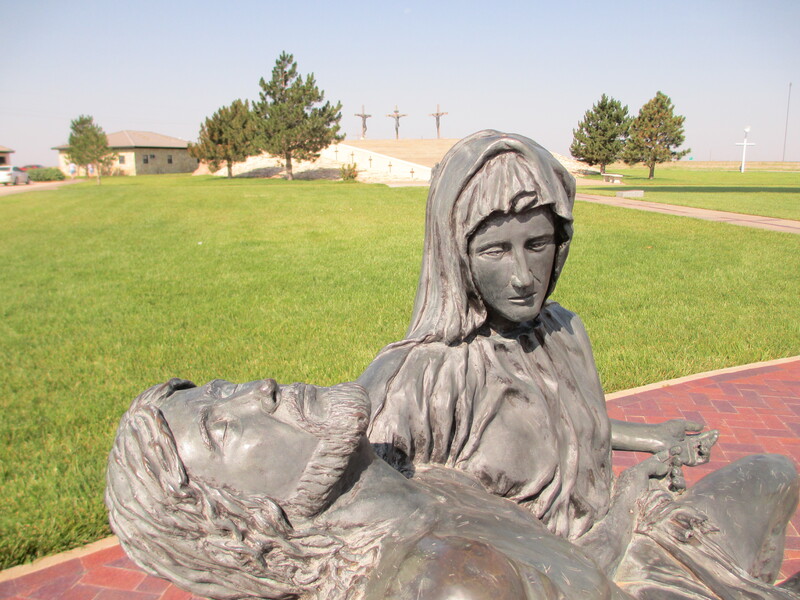 This is the story of Good Friday and Holy Saturday: privilege comes with a price. When you have power (like you have as a man in a patriarchal society), you also have something to lose. And you will fight for that power even when it means going against your convictions. But if you start with nothing, if you have nothing, if the world thinks nothing of you, then conviction is all you’ve got. 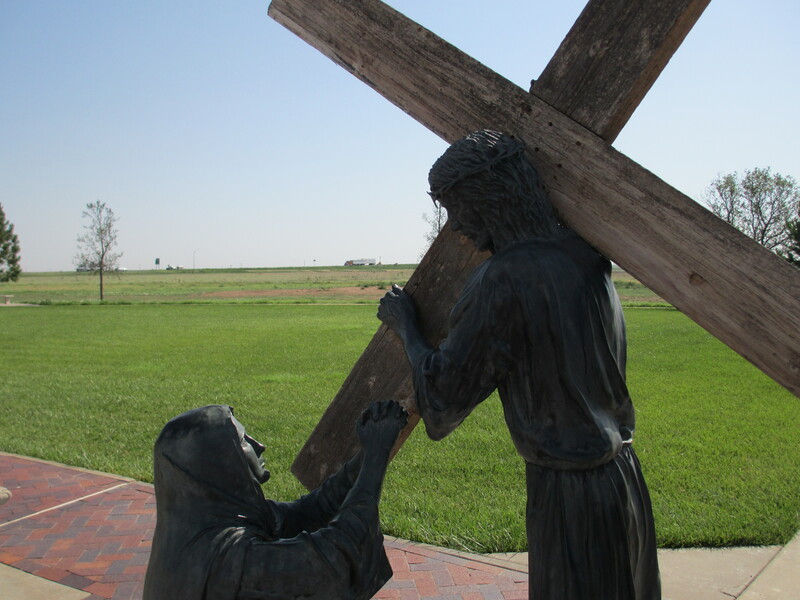 The women around Jesus were alive with conviction, and they wore it that day to the cross. But the men knew there was a price for standing out and standing up for what they believed. They saw themselves dying on that cross, and they ran from it. It’s too bad for them. It is the cross that leads us to where we need to be. It is that fear, that loss, that betrayal, that shows us who we truly are. For if you can’t die for the Divine, then perhaps you still don’t really believe. Perhaps you need something even more impressive to convince you, like a man rising from the grave. It was the resurrection that made men into apostles. But Mary called Jesus her Lord when she was still in mourning. To stay at the foot of the cross when the world is against you requires an absolute certainty that you have already found your God. If you have, there’s nothing in the world you need run from. Do I think this is how we are supposed to read the passion story? Not exactly. I think it’s a reading we ought to keep in mind though, and an important one we often ignore. Instead we call Magdalene a whore, put Jesus’s mother on a pedestal, and toss aside Joanna, Salome, and at least three other women named Mary. Perhaps it’s easier to ignore them. Perhaps that’s because when we look at this story and start to examine the characters, we know exactly where we would have been: locked away at home, hiding from the crowds, and waiting for someone to magically appear and tell us it’s all going to be okay.